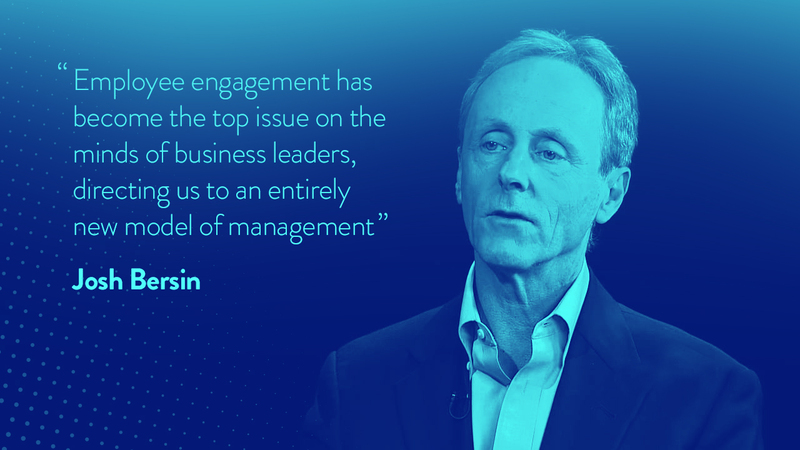 Josh Bersin says, “employee engagement has become the top issue on the minds of business leaders, directing us to an entirely new model of management”. According to Gallup, engaged employees are those who are involved in and enthusiastic about their work and workplace. Moreover, companies which increase their number of talented managers and double the rate of engaged employees achieve, on average, 147% higher earnings per share than their competitors. An Aberdeen Group research also shows that companies with engaged employees see 233% greater customer loyalty and a 26% greater annual increase in revenue. So we know that employee engagement is critical to your business’ all-round success but how can effective communication help? Everyone cares about effective communication. It is important for your employees, it is important for your managers, for your shareholders and for your clients. As a matter of fact, effective communication is also the most essential factor of employee engagement. A 2015 Harris Poll found that over 70% of employees felt more engaged in companies where information of value, company goals, objectives, and individual / organization execution are clearly communicated. They are targeted, they are relevant and they are timely. In short, right information to the right employee at the right time equal effective communications. It is not just about disseminating information, it is about treating your employees as individuals by giving them relevant information which is of use and which they want. How about the medium? According to a Newsweaver survey, when asked what their biggest challenge was Internal Communications professionals answered with 64% as the sheer volume of Communications flowing through the organization. Let’s have a look at the types of internal communications in the light of this. A variety of media is available to today’s professionals but face-to-face communication is still the most preferred type of communication when it comes to internal communications. There is no doubt that real life communication is the king of all communications. It is essential to a healthy relationship with your employees but it can also be very demanding in terms of time and space management. You need to be present at a certain place and time together with all the employees you want to communicate. When it comes to explaining a new program or a platform, you need to be at your top performance to convey the message as clear and positive as possible. We know that there is a lot of information to be communicated and explained from business development to change management and this task can become a real challenge. While working on a Vibons video, a Ford HR Executive shared his experiences on the subject, stating that one can never be sure that the message stays the same on face-to-face communication. People who are presenting the same material can say different things or even when they say similar things, it can be understood differently by different audiences at different times. A Melcrum survey shows that together with face-to-face, intranet and email are currently the most used communication channels. But you know that your company’s employees are busy. They don’t have time to read Intranet sites that offer a lot of complicated information or check a load of company heavily text-based emails and find what is relevant for them inside. That can also mean that some of your critical communications will be unheard, unread or unseen by the very people who need that information. According to the Melcrum survey, print newsletters are still used but also in decline in terms of popularity and are among the least “plan to use” channels. If used in a cleverly and engagingly designed way, this medium offers a chance to an individualized communication within this information overload but can also be a bit out-of-date in today’s digitalized world. We need to take a deeper look at video, especially animated video here, as one of the most valuable communication tools available since we are dealing with a load of information and videos are high in demand. Jack Koumi describes three types of value that video can serve: cognitive, experiential and nurturing. Cognitive value includes visual strategies to assist learning, such as demonstrations of processes using animated graphics. Experiential value corresponds to the opportunity to see something in a video that you will not be able to see in everyday life. Nurturing value is the video’s power to motivate and connect with its audience. There is a saying, “a picture is worth a thousand words”. 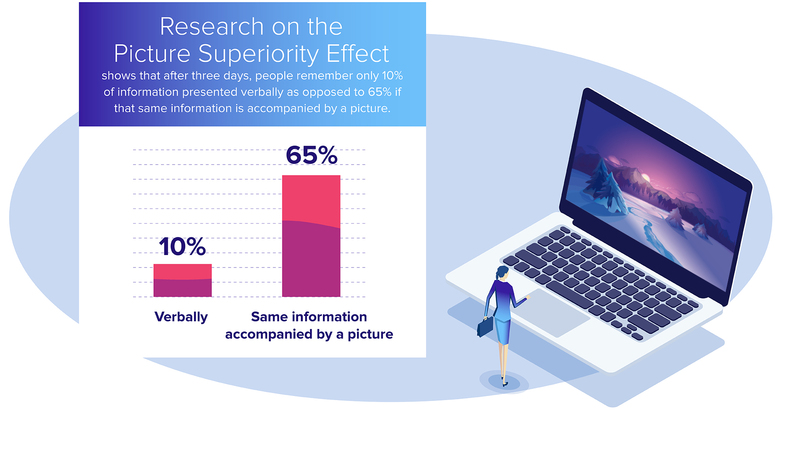 Research on the Picture Superiority Effect shows that after three days, people remember only 10% of information presented verbally as opposed to 65% if that same information is accompanied by a picture. Also, there is the attention issue. People today are less attentive. According to US National Library of Medicine, the average attention span is 8 seconds. These numbers have shrunk by 50% over the past decade. A professor from Lincoln University Neil Fleming, through his extensive research, discovered that adults learn in three different modes: Visual, audio and kinesthetic (by feeling). Some learn best by seeing it, some by hearing and others best by feeling or using it. What if there was a way to combine all three and grab people’s attention? Well, there is: Animation. Animation activates our cognitive brain with its dynamic visuals and audio. It also creates an emotional experience since our brains associate animation with positive emotions such as joy from our early childhood. And it doesn’t have to be watched by big groups in huge meeting rooms. The employees can watch them anywhere and anytime they want. Probably these explain why many Fortune 500 companies are favorably using animated videos for their internal and external communications and information management. Just check some of these Vibons’ video examples… Hitachi Global used video format to introduce its corporate social responsibility project (cooperated with an international non-profit organization Kiva for social innovation and change) to its employees. Siegwerk used video to enhance its corporate learning potential. Ford used video to explain the new individual pension program to its employees, the list definitely goes on. And it is not just vertical from top to bo ttom, executives also love video. According to a survey, 75% of executives watch work-related videos on business websites at least once a week and 59% of executives agree that if both text and video are available on the same topic, they will probably choose the video. Forbes Magazine also reported that executives are more likely to take action after seeing a video. So next time, when you are designing your own communication mix, why not include video? Koumi, Jack. “Potent Pedagogic Roles for Video”. Research Paper.